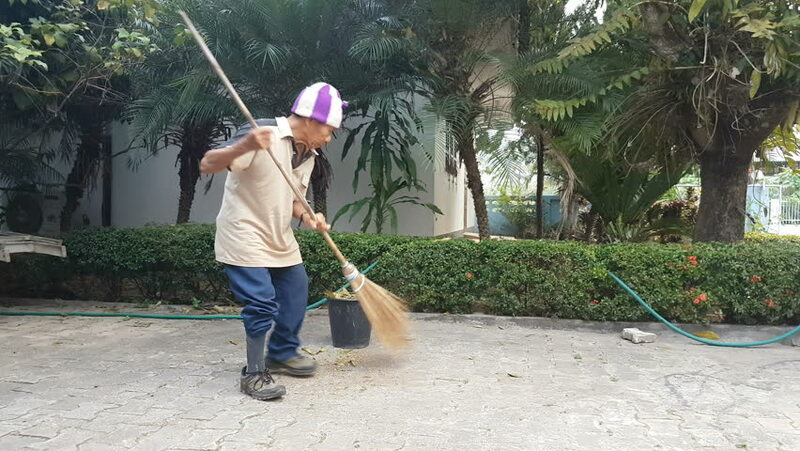 CHIANG RAI, THAILAND - FEBRUARY 27 : unidentified Thai old man sweeps leaves on February 27, 2016 in Chiang rai, Thailand. hd00:15This is a portrait of a fisher which fishing in pond which is on beautiful location in nature on countryside which have a nice landscape. 4k00:20Rural children went for walk with bike and scooter and play on green grass. boys are happy together for summer holidays. Healthy lifestyle, respect for nature, tree childhood.